Guys, look, listen. 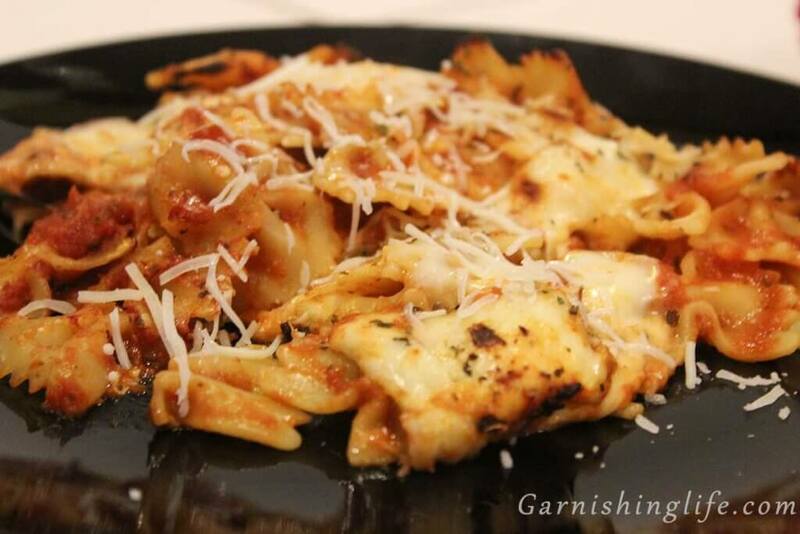 I’m about to give you one of my most prized recipes… Mozzarella Farfalle. 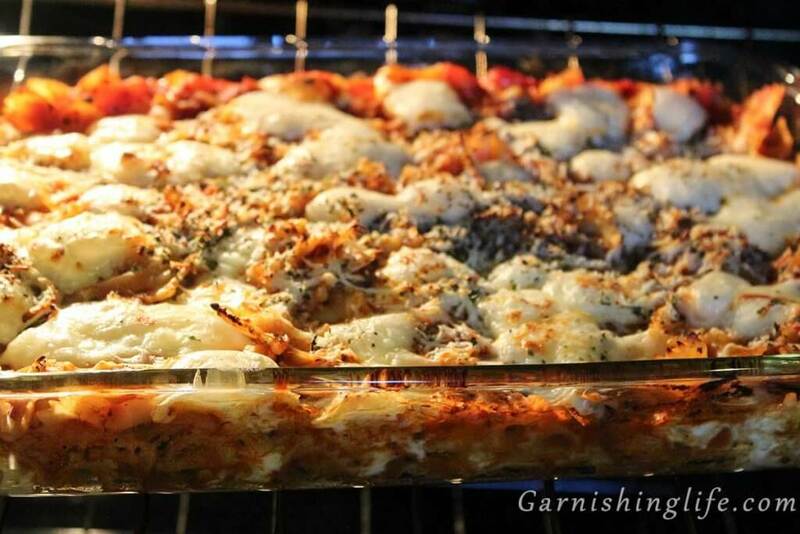 It is soooo easy to make, and pretty quick, and the most delicious pasta bake, EVER. You’ve got noodles, spaghetti sauce, mozzarella, parmesan, romano, garlic… my mouth is salivating just telling you about it. 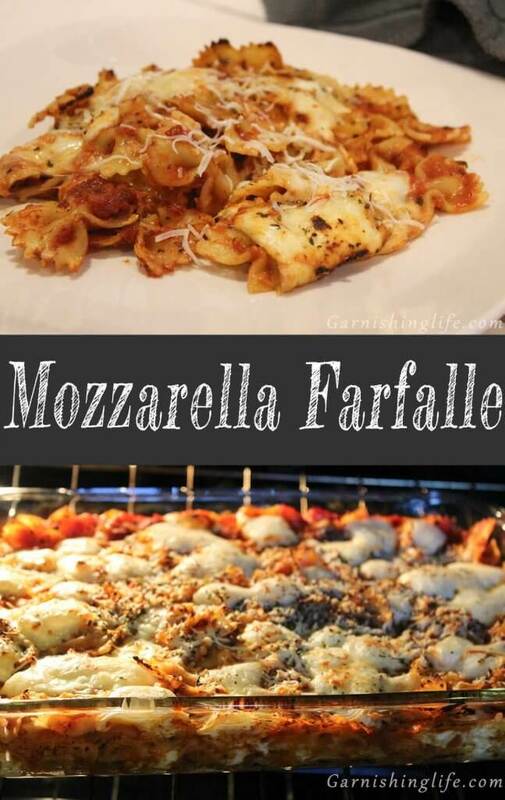 Seriously, if you try any of our recipes, I would have to say Mozzarella Farfalle should be THE ONE. Let’s get started! As always… preheat your oven to 400. Now, you’ll want to use a large pot, I’d say maybe double the size of the spaghetti sauce, as you’ll be mixing into it later. Bring your spaghetti sauce to a simmer over low. In another large pot, prepare Farfalle as directed. 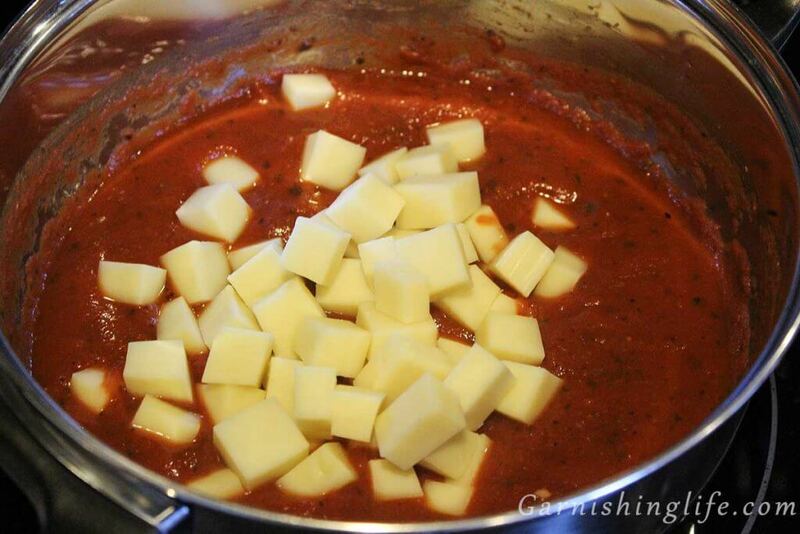 Next, add half of the mozzarella cubes into your sauce and stir. Also, mix in the cooked noodles. Then we transfer the mixture to a glass 9”x13” baking dish. Drop the remaining mozzarella cubes on to the top of the pasta mixture. 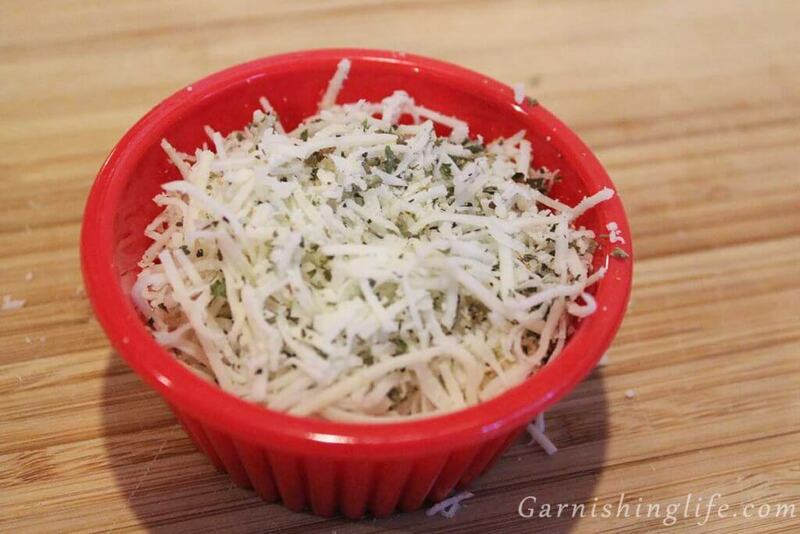 In a small bowl, mix parmesan, romano, garlic salt, parsley, oregano and pepper. Sprinkle this cheese and spice mixture over the pasta. Bake for 15 minutes. Allow to cool for 5-10 minutes before cutting. 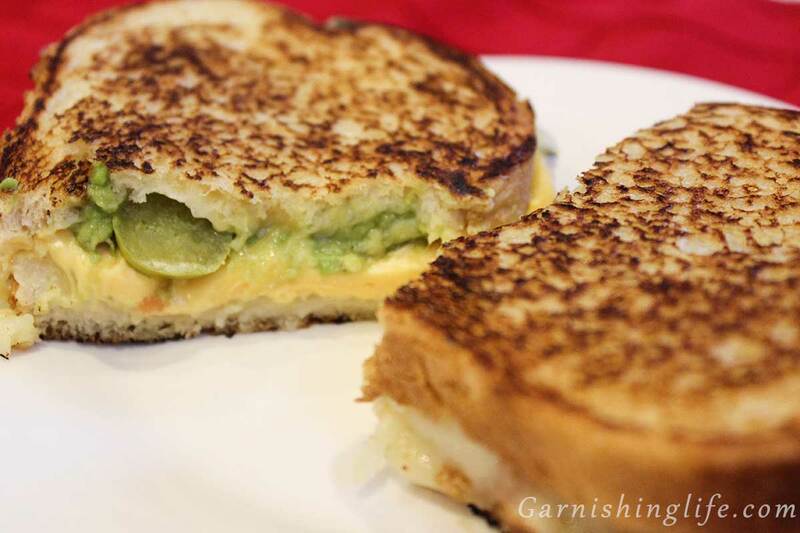 Garnish as desired with additional mozzarella and parsley. Because, more cheese. This goes so well with our Ranch Parmesan Toast or your favorite garlic bread. Mike wants to try this with our Baked Garlic-Parmesan Meatballs let us know how it is if you beat us to it. 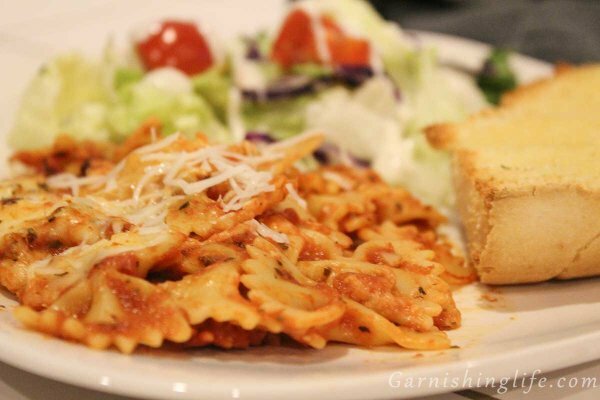 Keep an eye out for more of our favorite pasta dishes in the future. 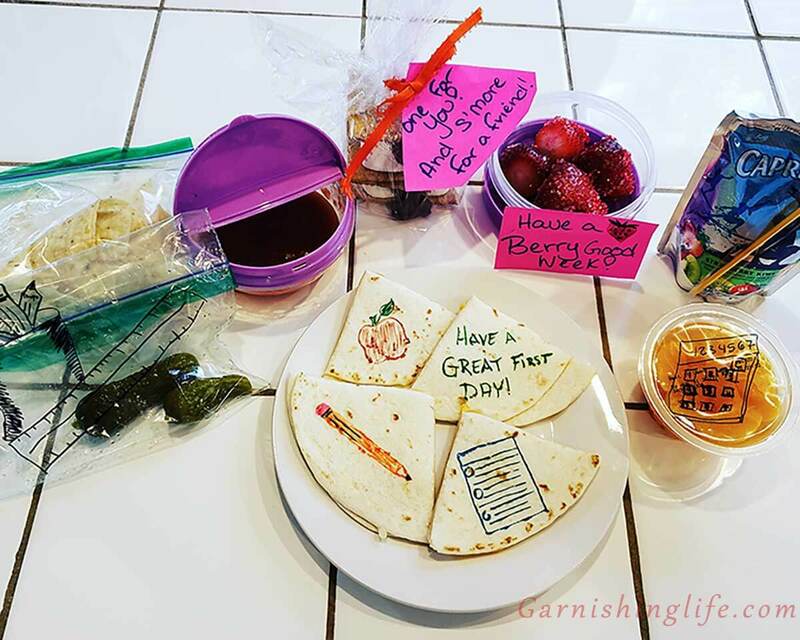 If you give this recipe a try, please share it with us over Instagram, Twitter or Facebook @Garnishinglife, and use #Garnishinglife. In a large pot, simmer spaghetti sauce over low. Fill a separate large pot with water, bring to boil over high. Boil for 12 minutes, until al dente , stirring occasionally. 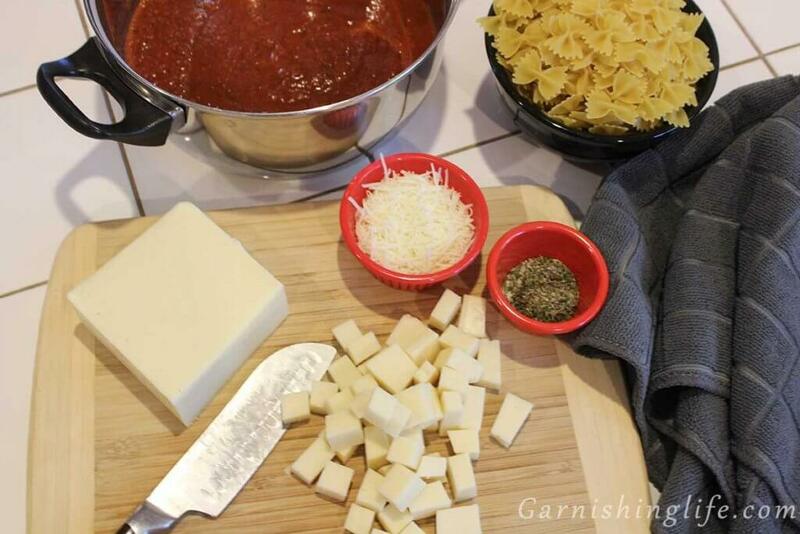 Stir pasta and half of the mozzarella cubes into the spaghetti sauce. 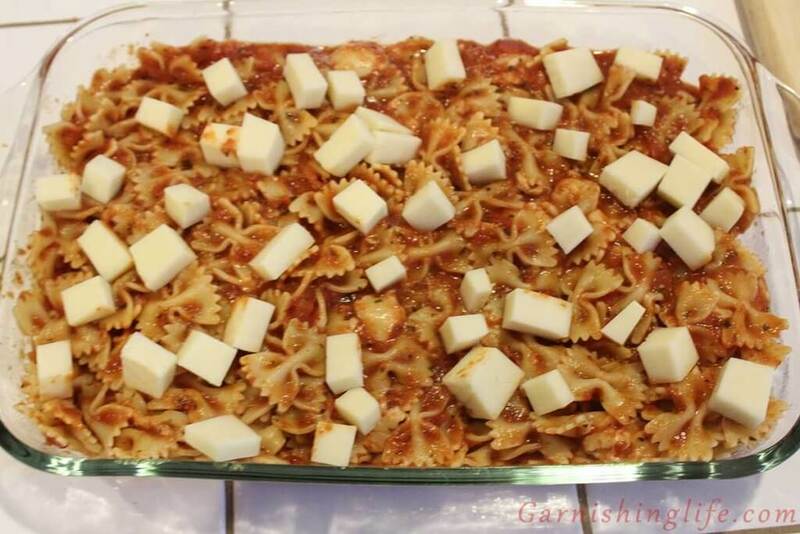 Transfer pasta, mozzarella and sauce into a glass 9”x13” baking dish. Top with remaining mozzarella cubes. In a small bowl, mix parmesan, romano, garlic salt, parsley, oregano and pepper. Sprinkle cheese and spice mix over the pasta mixture. Garnish as desired with additional mozzarella and parsley. To reheat, splash a small amount of water on the noodles. Microwave for 1 - 2 minutes. I mean, it’s under 10 ingredients, there’s pasta, and plenty of cheese, so I’m definitely going to give this a try! 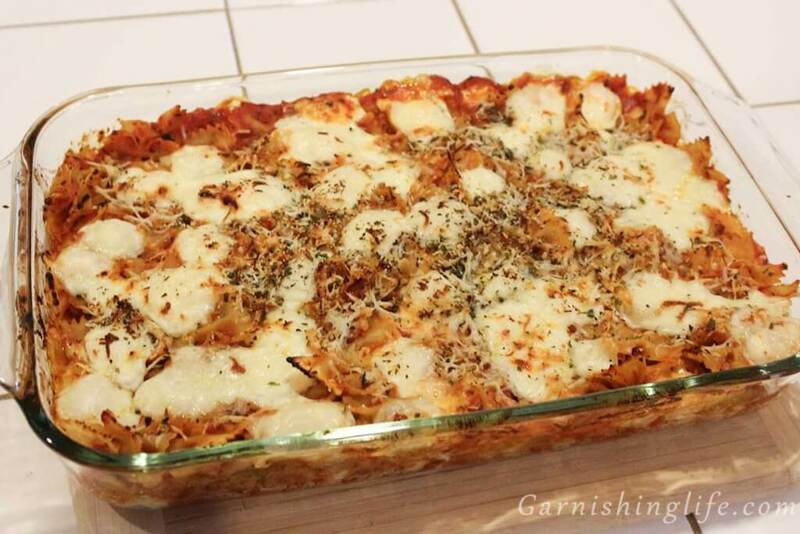 It’s looks delicious and easy to pull together for weeknight meal.